Los Angeles, Calif. — The California-based nonprofit organization, Physicians for Informed Consent (PIC), recently reported in The BMJ that every year about 5,700 U.S. children suffer seizures from the measles, mumps and rubella (MMR) vaccine. This finding is derived from results of the most statistically powered safety study ever to measure the association between MMR vaccination and febrile seizures. More than half a million children were evaluated, both vaccinated and unvaccinated, from a Danish population that is relied upon globally to examine vaccine safety. The results showed that seizures from the MMR vaccine occur in about 1 in 640 children up to two weeks following MMR vaccination. Applying this risk of seizures to the 3.64 million U.S. children vaccinated with a first dose of MMR every year results in about 5,700 annual MMR-vaccine seizures. There is a five-fold higher risk of seizures from the MMR vaccine than seizures from measles, and a significant portion of MMR-vaccine seizures cause permanent harm. For example, 5% of febrile seizures result in epilepsy, a chronic brain disorder that leads to recurring seizures. Annually, about 300 MMR-vaccine seizures (5% of 5,700) will lead to epilepsy. Furthermore, the Vaccine Adverse Event Reporting System (VAERS), designed to be a warning system for identifying vaccine side effects, receives only about 90 annual reports of MMR-vaccine seizures following the first dose—only 1.6% of the 5,700 MMR-vaccine seizures that actually occur. Thus, other serious vaccine adverse events from MMR, including permanent neurological harm and death, may similarly be underreported. Physicians for Informed Consent is an independent 501(c)(3) nonprofit educational organization dedicated to safeguarding informed consent in vaccination. To learn more about vaccine risks vs. disease risks, read PIC’s Letter to the Editor in The BMJ, and PIC’s Measles Disease Information Statement (DIS) and Vaccine Risk Statement (VRS) at physiciansforinformedconsent.org/measles. On my first lot of heart medication I had seizures, spinning, dizzy spells, nightmares, hallucinations. I stopped the meds & took magnesium up to 6.000mg at first. Ohhhhh, he was concerned about me. When something foreign enters the body, the immune system automatically swings into action. The immune system will take into consideration EVERYTHING contained within that foreign object & react to kill it. 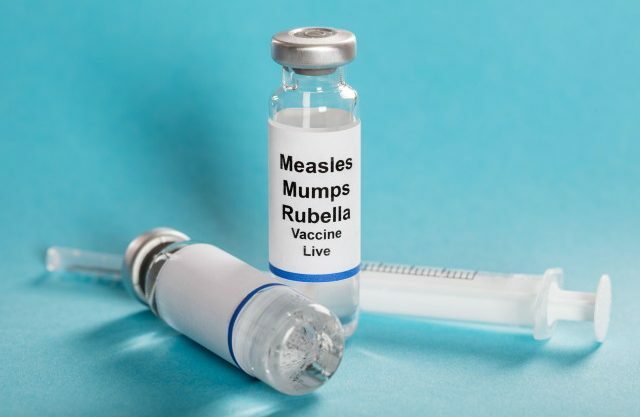 Measles, Mumps & Rubella, are natural bodies specifically designed to imprint the capacity for a defense immunity within the memory of the immune system. That there is potential for a secondary & sever infection of a BACTERIAL NATURE must tell us that there is more to Measles, Mumps & Rubella, than viral infection. WHY IS IT THAT WE DON\’T KNOW ABOUT THIS SECONDARY INFECTIOUS THREAT ? WHY IS IT THAT WE DON\’T KNOW ANYTHING ABOUT THIS SECONDARY INFECTION ? SURELY – to God we should know all the active & infectious components to these illnesses ?